I would probably be considered the worst teacher-mum – I don’t really prepare my child for school, despite being a teacher and having all the books and knowledge. And like most parents, I often worry that I haven’t prepared my child enough. But don’t stress, the teacher in me knows that being able to how to count to 100 is not essential. That’s what school is for! Whether your child is excited or nervous about starting school, it’s important to share stories of how much you loved school. Be it learning to read, playing sports or getting to go to the canteen! Parents often don’t realise that their past experiences can influence their child’s feelings about school – it is important that we as parents and teachers model love and respect for education and learning, and also create and encourage dialogue amongst family. 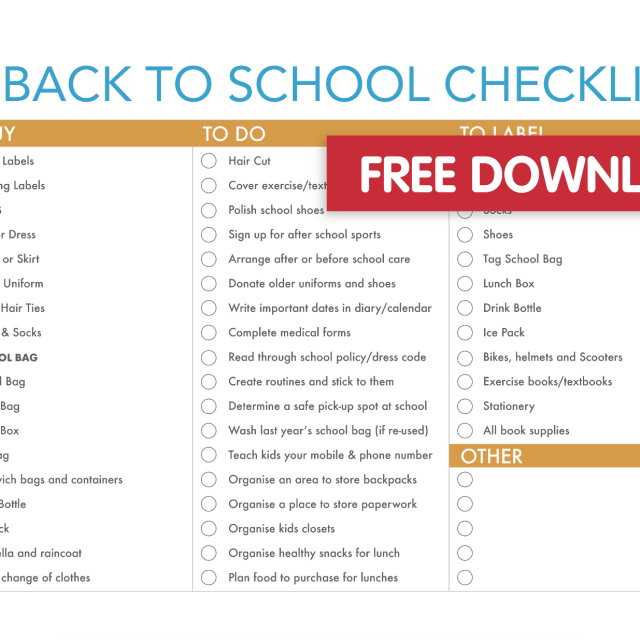 Independence is an important skill to have before heading off to school. Do you still dress your child in the morning? Can they go to the toilet independently? While it is sometimes easier to just do these things for our children (Believe me, I get it! ), we need to remember that your child will be one of 20 (Sometimes 30!) children in their class. So, let your kids practice dressing themselves over the summer, allow them that extra time to figure out the solution to their problem and buy the Velcro shoes. Tying wet shoelaces when it hasn’t been raining is not fun at all! I am a big believer in using routines with children (and adults). Children often fear the unknown, and starting school can be highly stressful, even to the most placid child! Establishing morning and nighttime routines provide a sense of certainty and security for your child and reduce the likelihood of morning or afternoon meltdowns because the expectations are consistent. 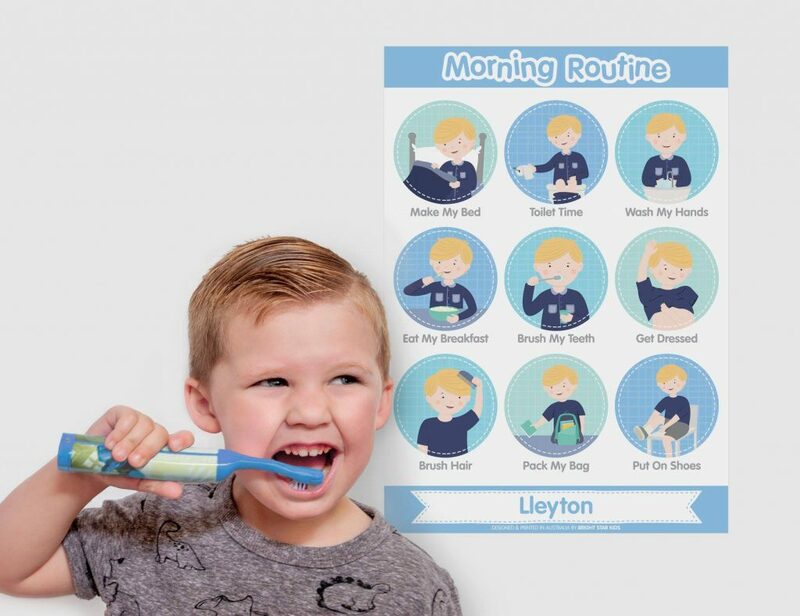 Tip: You can get fun personalised routine charts from Bright Star Kids that make getting used to routines easy. Use them along with reward charts to encourage good behaviour. I make lunches when I’m cleaning up after dinner and pack them in the fridge. I also layout the required uniform on the couch before I go to bed. After breakfast, the boys change, pack their lunch boxes into their bags then set them by the back door. It’s the little things that can make the biggest difference! This is the teacher in me saying this – PLEASE LABEL EVERYTHING!!!!! 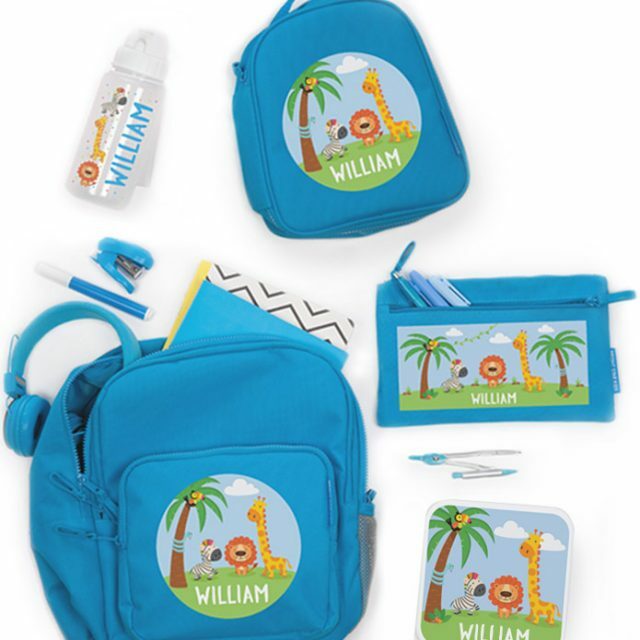 Things often go missing at school – I should know! 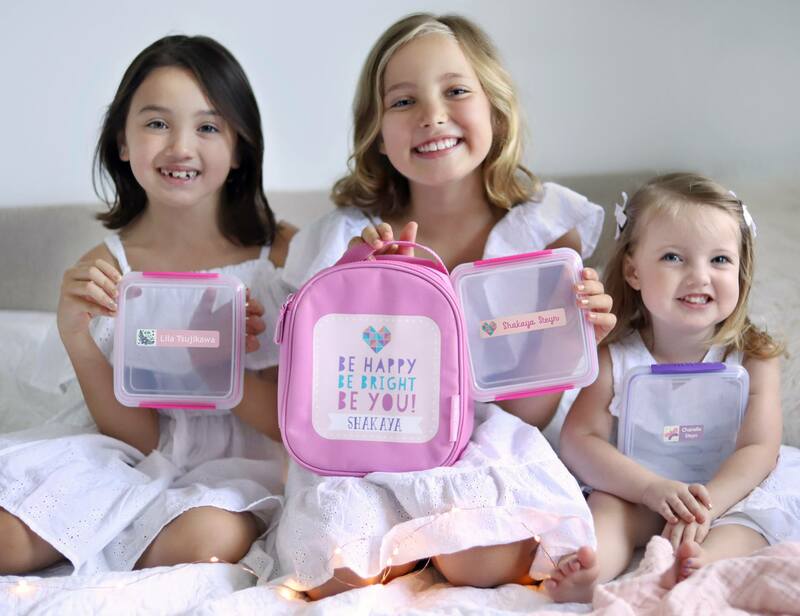 Bright Star Kids have some fantastic label packs, so label everything from their bento lunchbox to their shoes and save your energy (and money!) for doing the fun things in life. She is a wife and mum to three boys, ages 7, 5 and 7 months. After being a primary teacher for a few years, she completed her Master of Education, Special Education with a focus on Autism Spectrum Disorder. She started her blog My Mum, the Teacher in 2011 to provide help to young teachers. While it still focuses on helping all teachers, she also shares her experiences and provides anecdotes about life as a mum.